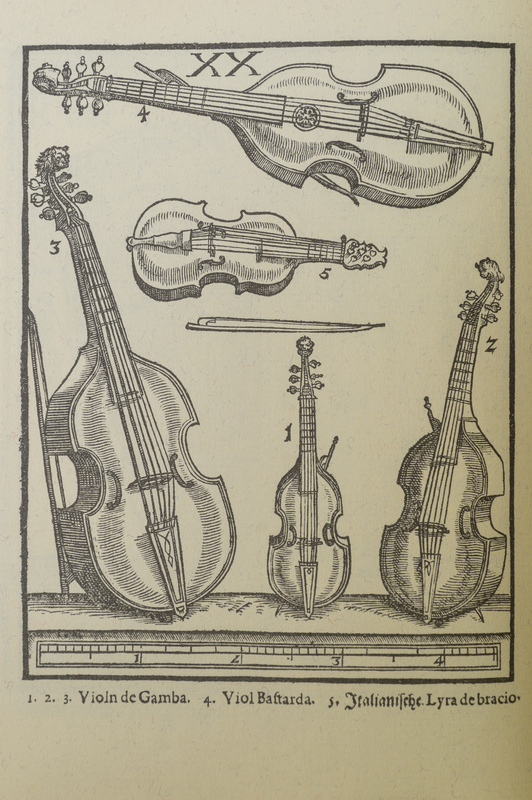 Once again Michael Praetorius' illustration has to be enough to reconstruct an instrument. 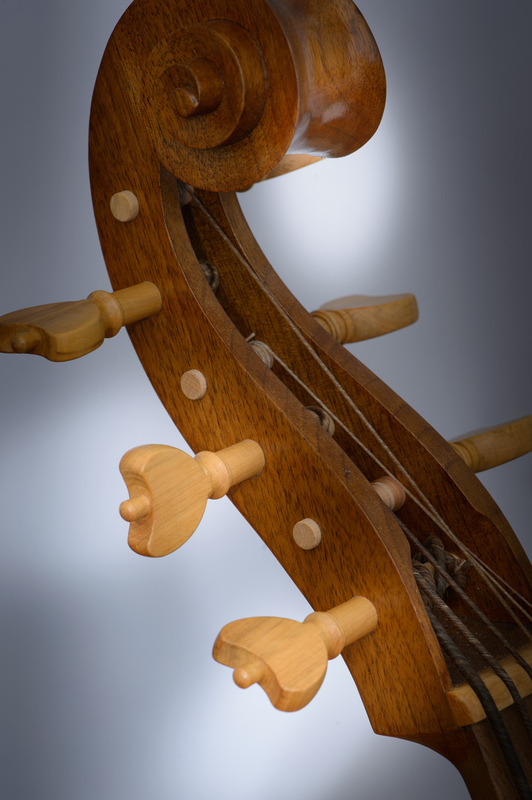 But there is the big question to be answered, if the viola bastarda really was an instrument or just a way of playing, which had been developed to play intavolations of madrigals on the viol. Maybe it was both! 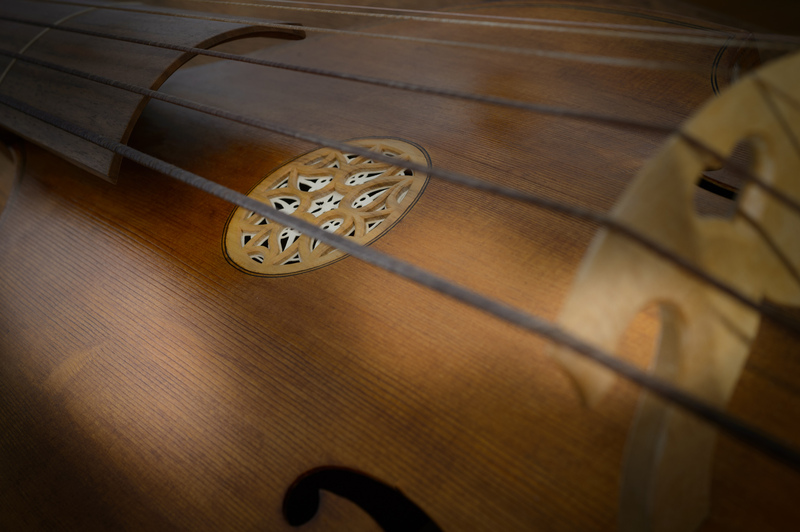 At the end of the 16th century all the music would still fit a normal viol in standard tuning, but when the repertoire got more virtuosic, different instrument with a different tuning might have been desired. 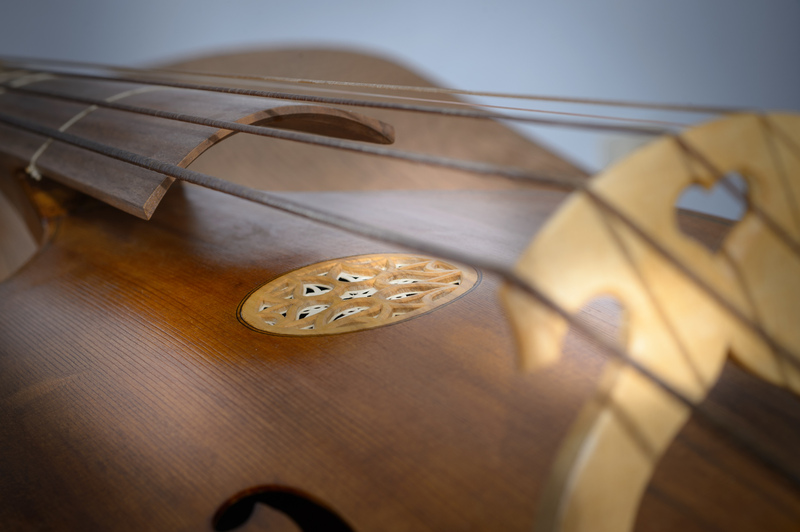 A viol with a long scale and a narrow body, the strings tuned in forth and fifth was definitely a good way to make life easier once again. And composers like Francesco Rognoni or Vincenzo Bonizzi went for it and uses the full range from GG – g'', four full octaves! The bastrada stil is unthinkable without the madrigal. 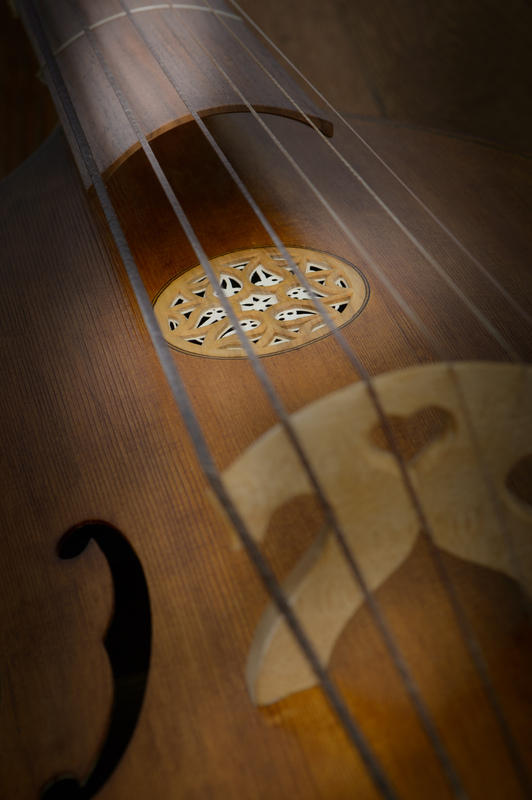 To perform a madrigal 'alla bastrada' means to play all the voices on one melodic instrument. In order to do that you need to present every entering voice at the proper pitch and then jump to the next. And on the way you put in as many twiggles and loops as possible. Therefore, in the transcriptions, we find 5 or 6 different clefs. The player needs to know if he is playing the Alto or Baritone part and needs to search for an individual colour for each voice. On a Viola Bastarda that is easier then on the wind instruments, because you start with 6 strings, each of them with it's own colour ideally. This is not the music or instrument were one should be looking for a homogenous sound. We need the contrast to show off the original structure. The best known player of the viola bastarda was employed in Mantua and his name was Claudio Monteverdi. The duke expected him to play his instrument in the chamber and not to compose. His portrait as a young man shows him with a viola bastarda and we see an instrument with a very long neck, well suited for the kind of pieces we are talking about. Playing 'alla bastarda' became the big fashion and it was done on many instruments: recorder, cornett, violin, fagotto, sackbut. Next summer I'm calling a number of friends together and we teach a Summer School on this. A rare occasion to explore this musical phenomenon in all it's aspects to the full. I fell in love with the pieces by Virgiliano and Bassano when I was a very young recorder student. Later I played them on the cornett too and the bass variations on the curtal and sackbut. 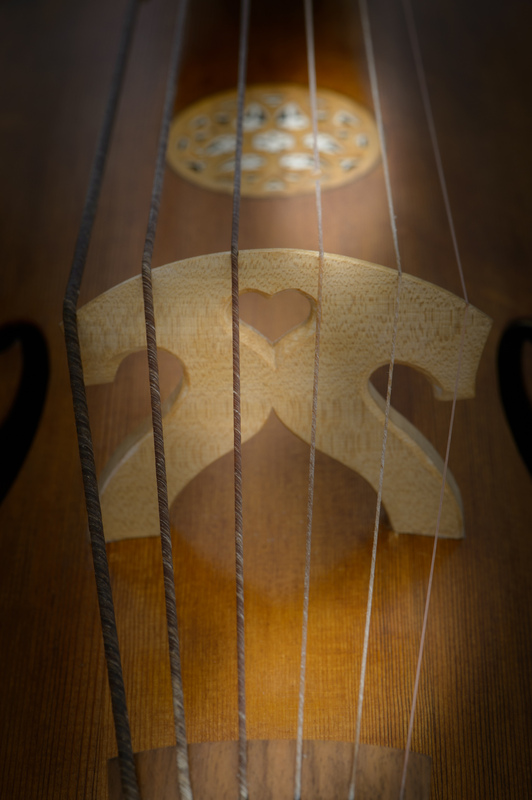 And when I started to play viol I was looking at that repertoire again, but gave myself more then ten years until I commissioned an instrument and went for it! Ever since life has been a dream!